Throughout the eight year run of the Marvel Cinematic Universe, an eclectic blend of directors have made their mark in the world of superheroes and villains. From Jon Favreau's first Iron Man film, to Joe and Anthony Russo's tenure on Captain America: Civil War, the directors you'd least expect to make superhero films have done just that. This factor, in the mind of Thor: Ragnarok director Taika Waititi, is the key to the longevity of the MCU, and should be preserved at all costs. They just keep choosing weird people to make their movies. I think it’s great. It’s awesome. It’s a genius move, really. Why would you get the obvious choice? It’s like when Hollywood sees a movie that does really well and then they copy that movie. If you’re trying to get someone to make a certain film, you don’t get someone who made the last film that was like your film that you’re trying to make. Because you’re going to get the same film, and it’s going to be boring, and everybody’s going to see how boring it is. You should get someone who’s really weird, like me, who’s never made one of these things before. And then you guide them and shape them and make sure they don’t spend all the money on leather jackets. Taika Waititi has a pretty solid point when it comes to Marvel's traditional practice of hiring the weirdest, most surprising directors they can think of. 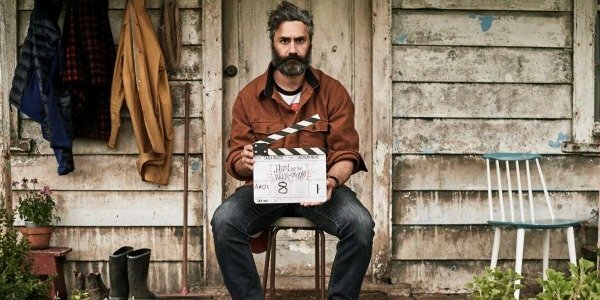 In fact, his hiring for Thor: Ragnarok only further underlines the point, as most fans of Waititi's other notable film, What We Do In The Shadows, would have never imagined that he would be hired to bring the world of Asgard to life for a third time. Yet his inclusion is a welcome change of pace, especially with Chris Hemsworth himself, who has always felt that humor was a sorely missed element in the history of the franchise. Similar to the surprise that Taika Waititi's drafting for the director's chair of Thor: Ragnarok was the announcement of James Gunn's directing duties for the first Guardians of the Galaxy. However, looking back on Gunn's resume, his work on the dark comedy masterpiece Super clearly showed that he was the man to tackle the weirder corner of the Marvel Cinematic Universe. The same could also be said for Cop Car director Jon Watts, whose experience telling an intense story of two young kids fending off an evil madman clearly teed him up for his role as the helmsman for Spider-Man: Homecoming. Ultimately, the qualifications of the directors involved in the Marvel Cinematic Universe are the more important than the success of the films themselves, which is why directors of various disciplines have found themselves calling the MCU home as of late. Of course, this leaves us asking the big question of just what aspects of Taika Waititi's resume were honed in on when Marvel Studios decided that he was the right choice for Thor's third solo adventure. We'll see soon enough, as Thor: Ragnarok prepares for the battle to end all battles on November 3rd, 2017.